This practical solution lets you discard food scraps and easily transfer them to a larger compost bin for future use in flower beds, gardens and lawns. 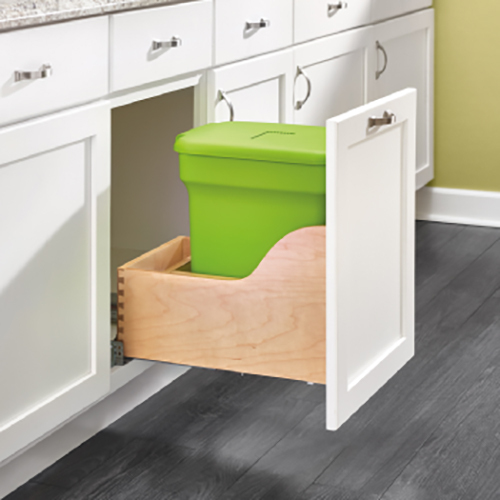 The cabinet’s reduced depth is designed for a 30” sink base or 15” base cabinets and has rear storage for additional bags. Made from solid maple it comes with a single self-contained compost bin that features Biodegradable liners, a no-mess trash carriage that opens when the lid is raised and seals when the lid is closed, a carbon filter that eliminates odors and air vents to help speed the compost process.